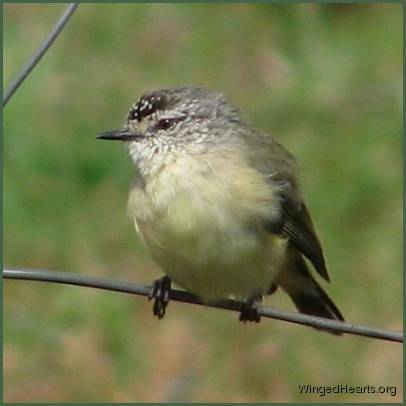 Read more about A Lone Babbler - Sole Traveller or Seeking New Mates? One of my friends had some exciting news for me. 'Tell Gitie, what she says works', was the message her friend Ken had asked her to convey to me. My friend told me that Ken has successfully made friends with a couple of galahs who had been visiting his garden. Then when a whole crowd of galahs started to wreck some one of his trees, he spoke to his galah friends and asked them to stop and they listened. Ken then explained to them that he didn't want their friends to destroy the tree either. Read more about Now You See Me, Now You Don't!